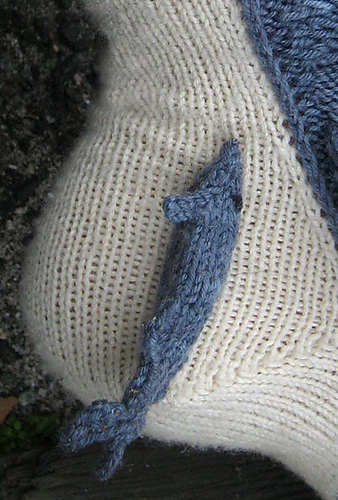 When looking for socks, the majority of the time you're wanting some style, but mostly comfort! But then there are those times, you want coziness mixed with quirkiness. 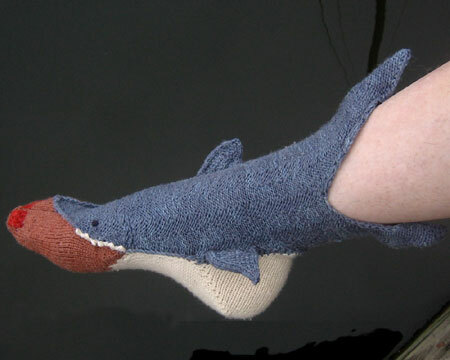 That's exactly where these shark bite socks sit. 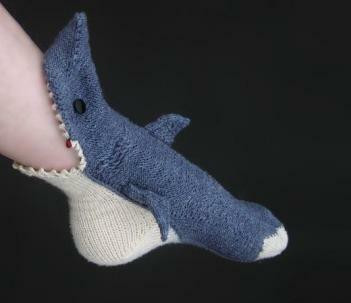 These socks are made to look like there's a little shark on the end of your foot that's slowly trying to eat your feet. 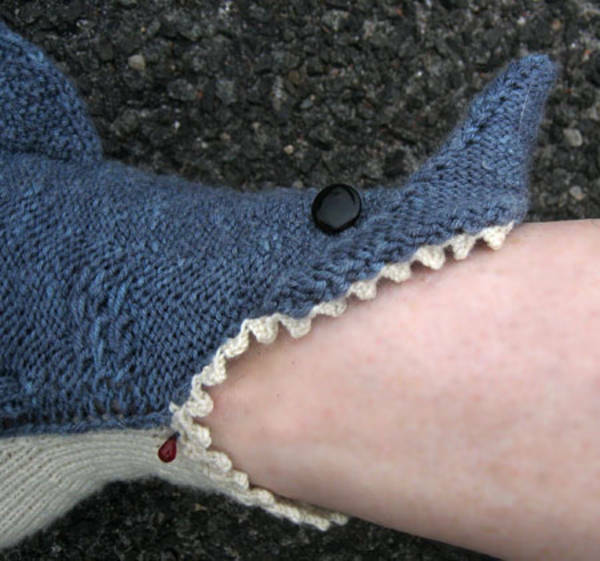 Designed and knitted by Lisa Grossman, AKA the Tsarina of Tsocks, the Shark Socks are a set of socks, 1 of which is biting your leg upwards, and on the other set, the shark is biting your leg downwards, just about to finish off your toes. 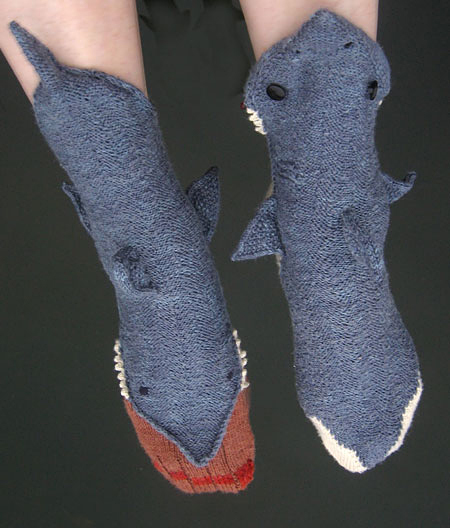 As far as I can tell, these shark socks were available during a fund-raiser and are now only available to download as a pattern and knit yourself, so have at it.